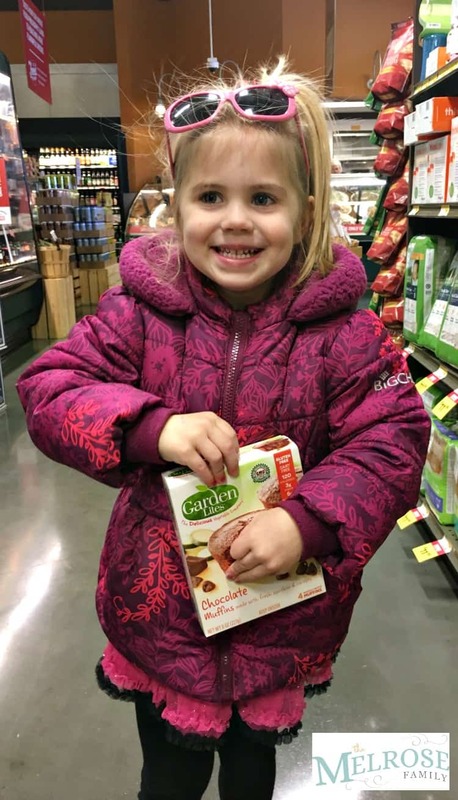 Are you struggling to get “sneak” veggies into your kids diet? These Veggie Muffins for Garden Lites are the perfect way to do it! My girls didn’t even know that they had veggies in them and they’re usually little veggie detectors so it’s safe to say that these veggie muffins will definitely pass as kid friendly. I didn’t realize that muffins could be found in the freezer section. 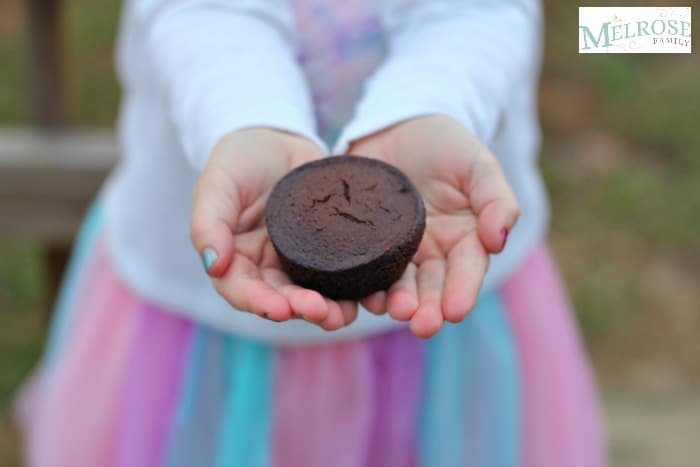 Avery and I heard about Garden Lites Chocolate Muffins and we went on the hunt to find them. I’m not sure who was more thrilled that we were able to find them at Stop & Shop in the freezer section. You can find Garden Lite Veggie Muffins at your local Publix, Stop & Shop, Giant, Shop-Rite, HEB, Kroger or Costco. She wouldn’t let that box out of her sight and she made sure that I grabbed a couple of boxes because she loves her muffins. She’s not lying either. 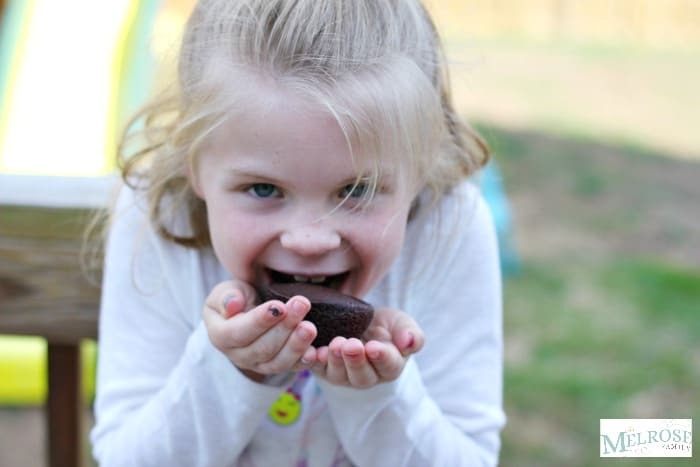 Avery would eat muffins for breakfast, lunch and dinner if you let her. Luckily, if I did decide to do that she’d be getting her veggies without even knowing it. 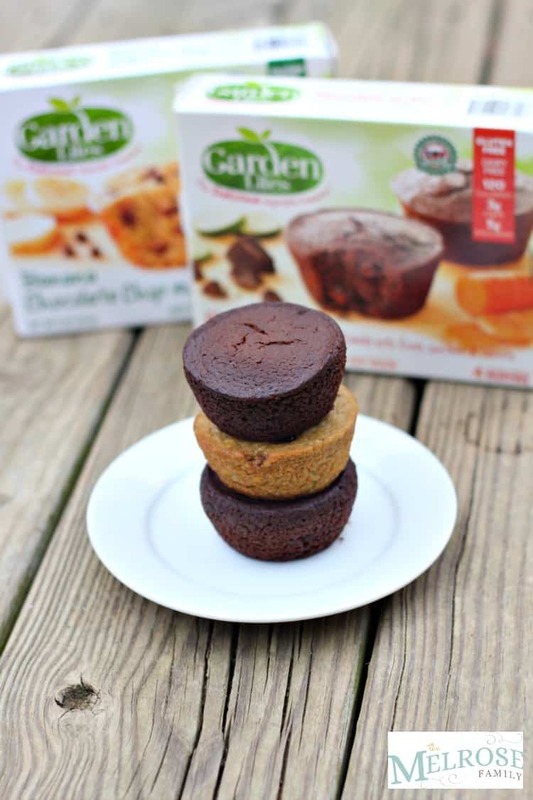 Garden Lites muffins are made from clean ingredients and are gluten free, nut free and dairy free. Veggies are the first and primary ingredient in all of their muffins. So whether you purchase the chocolate, blueberry oat or banana chocolate chip, the veggies are there. The muffins are also the perfect size for a healthy snack in the afternoon. Simply pop a frozen muffin into the microwave and put it on high for 25 seconds and you have a Veggie Muffin ready as the perfect snack. Seriously, could you resist a face like that? 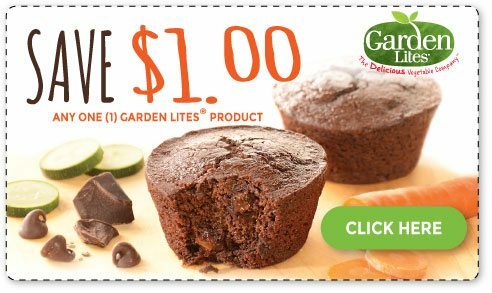 Garden Lites Veggie Muffins for everyone right?! Plus, I don’t have to feel guilty indulging in one myself because it is made from clean ingredients and simple ingredients. Be sure to grab your $1 off coupon HERE.